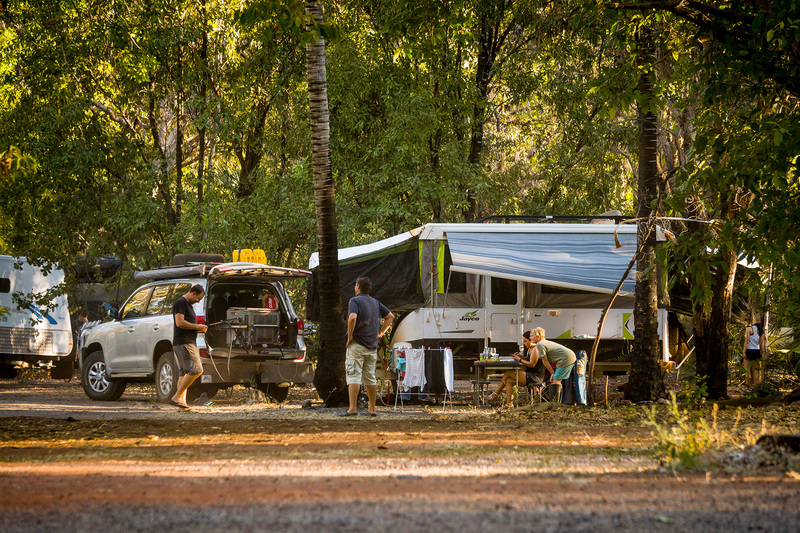 Camping holidays with kids can be lots of fun: messy, chaotic, are-we-there-yet (I-can’t-wait-for-Happy Hour), outdoorsy fun! So after weeks of planning and packing, you bundle everything and everyone into the car, and leave behind the well-oiled routines and comforts of home for a slice of the simple life. 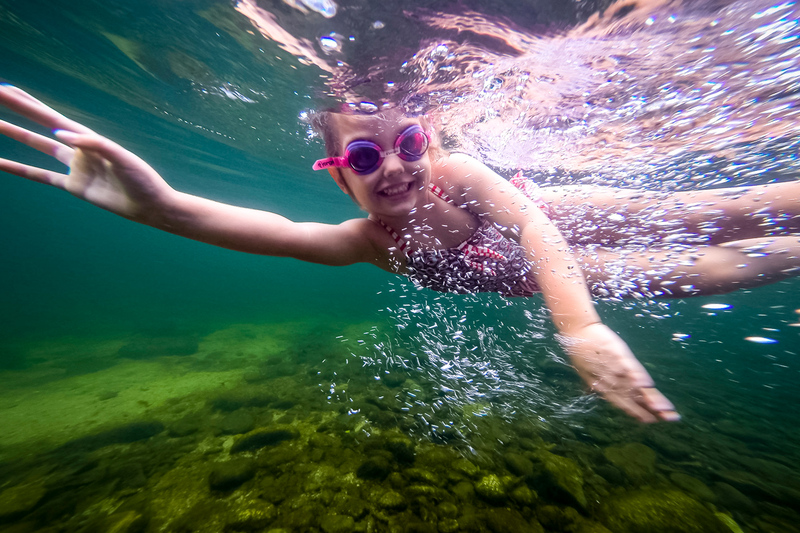 Before your adventure begins, use these tricks and tips to ensure you enjoy the summertime break as much as your kids. 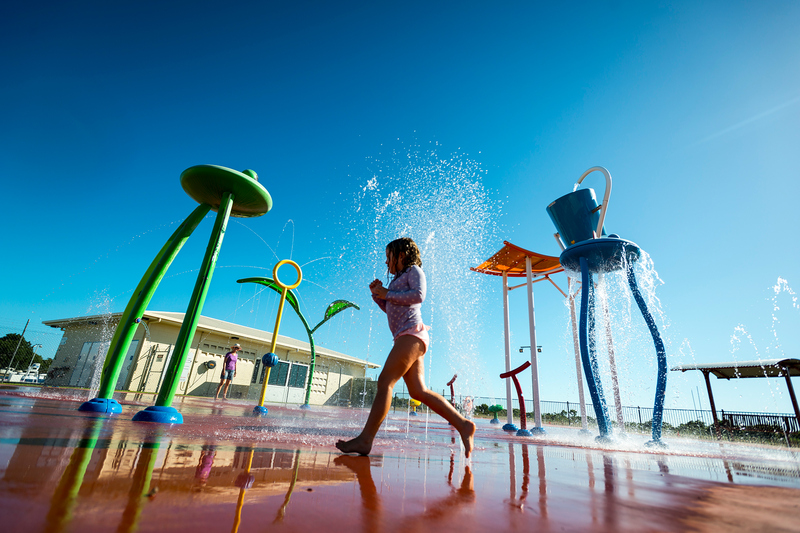 Summer breaks provide the space and time that kids need to learn, practise and perfect new skills. It might be discovering how to ride a wave, breathe through a snorkel, catch a ball or simply how to get into and out of the hammock without hitting the ground. At every age, there is so much to teach children and during the holidays it can happen without haste. 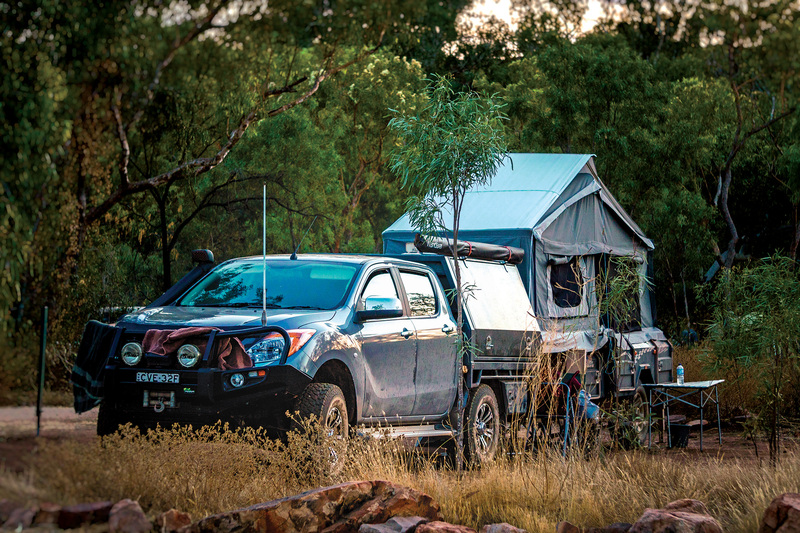 Before your head starts to reel about how overloaded the car and camper will be, think about swapping those boxes of plastic toys for more of what your kids can use to explore your summer holiday destination. If it’s the beach, pack boogie boards and buckets for shell collecting, a foam surfboard for beginner grommets, snorkelling gear and swimming goggles, and a beach cricket or volleyball set too. Also make sure to pack torches for spotlighting after dark, binoculars for wildlife watching and sneakers for bushwalking. 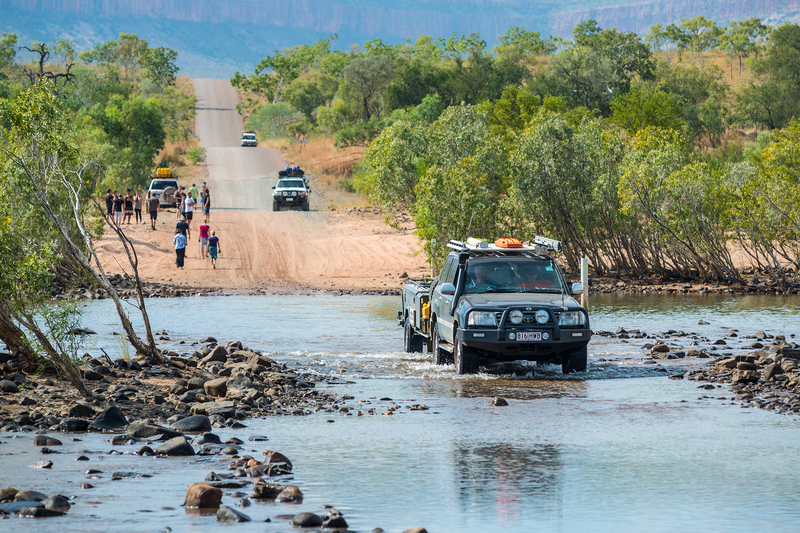 If you are headed inland and have the room, pack the kids’ bikes, some fishing rods and a sit-on kayak to explore that outback river gorge or dam. If there’s no room on the roof for sit-on kayaks, consider a space-saving inflatable one (ours carries three people and folds down neatly) or inexpensive inflatable pool toys for waterhole lounging and drifting down river. Just don’t forget the pump! I’m a big fan of taking bikes to give kids the freedom to explore around camp and to tackle afternoon icecream runs or more adventurous offroad trails. 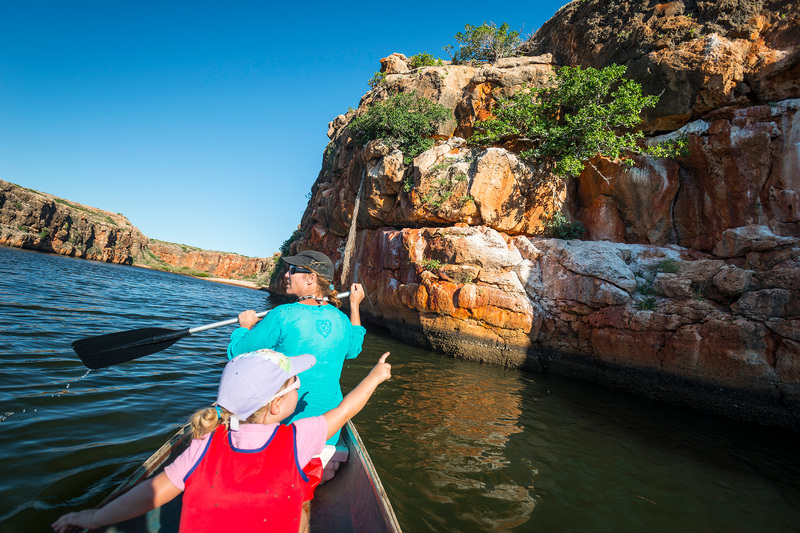 However, if space is at a premium (and it can be with lots of kids onboard), limit your choice of gear to whatever you think your kids will use and enjoy the most, and hire the other gear such as canoes or surfboards when you reach your destination. A great alternative to taking it all yourself is to coax some friends into joining your camping trip and splitting the gear list (and the childcare) between you. Keeping my chatty seven year old amused on the road means music, car games and the occasional movie, but it wasn’t always so. Babies need feeds and nappy changes, and toddlers squirm in their car seats demanding constant entertainment. I once rode from Perth to Cairns in the back seat with my toddler, building Lego planes, reading books and dancing to the Wiggles, the scenery whizzing by without me seeing a thing! If you have littlies, car time can be an ordeal until they finally fall asleep and you drive like a bat out of hell until they wake again. When my child was very small and a big day of travel loomed, we would hit the road really early to knock over a couple of hours of drive time before stopping for food and a play. The day would then be broken into short driving stints and progressively longer breaks – preferably taken at a playground or swimming spot – before stopping to camp in the early afternoon when everyone had had enough. If you must, consider driving through the night to reach your holiday destination. This works well as a one-off, but can be gruelling on the drivers. Magic Pocket is the game of choice in our car and it goes like this: somebody reaches into their ‘magic’ pocket to find any object they might imagine – an animal, favourite food, toy, something you’ve packed, etc - and everyone else in the car has to try and guess what the object is. It beats I-Spy because, as my daughter pointed out on a recent outback run, “we’ve already named the dirt, the horizon and the crows". When your kids relax it means that you can too, so don’t forget to pack comfy chairs for everyone to pull up around the campfire and perhaps a hammock to string up in the breeze. Take your own rope swing that you can set up beside a deep river or hang from the nearest, climbable tree to keep small kids amused. All you need is a comfy plank of wood with holes drilled into each corner and enough rope to hang it. A soft, folding swing seat (or jolly jumper) is a great addition for babies and toddlers, allowing you to relax or tackle chores with only one eye on them. After long, energetic days in the outdoors, kids need downtime. That might mean relaxing around a campfire and toasting marshmallows before cosying up to watch the stars, and fingers-crossed, falling fast asleep. If that sounds good to you, arm your kids with glow-in-the-dark stargazing charts, throw down a blanket and lie back to discover the night sky and identify as many constellations and black holes as you can. On gloomy nights, hand out torches or head torches and take your kids on a night walk to see what stalks your campground after dark. As a back-up plan - especially if the weather turns foul - settle kids down around a board game or movie screen and take a break yourself. If headed off the grid, make sure you’ve factored in how you will power up any devices and pack the chargers too. Invest in a quality waterproof case for your iPad or other movie-watching device to insure against the angst of spilt drinks and unexpected dunkings. 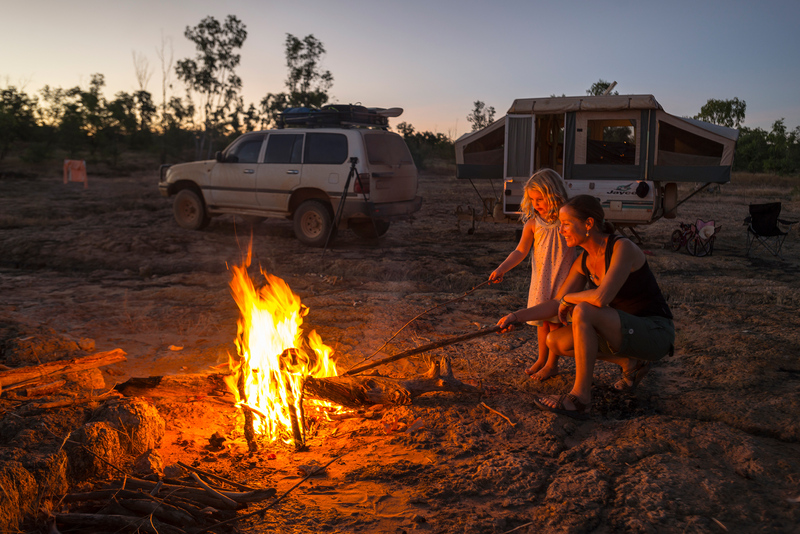 One of the ironic upsides to camping with kids is that the chores are fun: choosing a bush campsite, setting up camp chairs, collecting firewood and getting the campfire going are such interesting ‘chores’ that kids are usually only too happy to help. 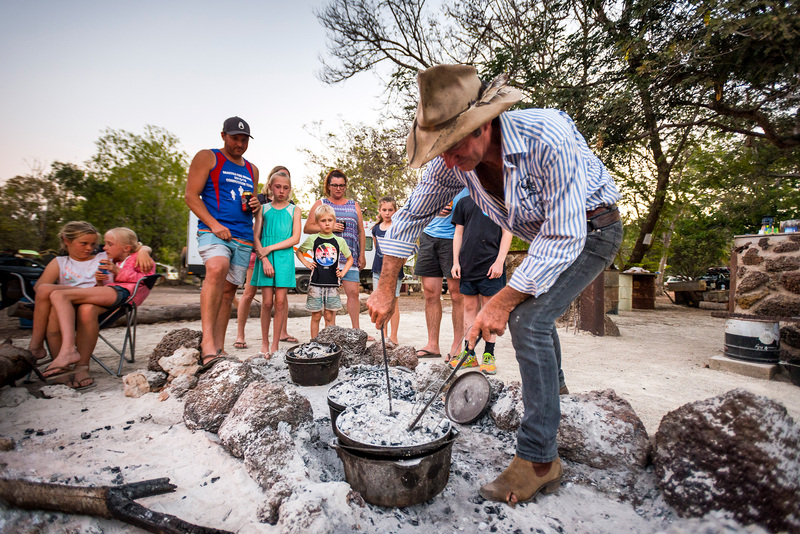 This not only lightens your workload but also gives you the chance to teach kids about bush and fire safety, how to build the perfect fire and cook over hot coals. Cooking is much more fun when it happens outdoors and you don’t have to worry about the mess. You might want to try to perfect camp-oven damper, sampled with lashings of butter, jam and honey afterwards. On a recent trip we threw together a simple cake mix, poured it into a well-oiled campoven, dug a hole beside the fire and baked up a perfect lemon cake, devoured mere minutes out of the fire. When you wrap up for the night, always douse the campfire’s hot coals with water (never with dirt) to cool it completely before heading for bed. A fire put out with soil alone can remain incredibly hot even after 12 hours and is the number one cause of camping burns to kids. 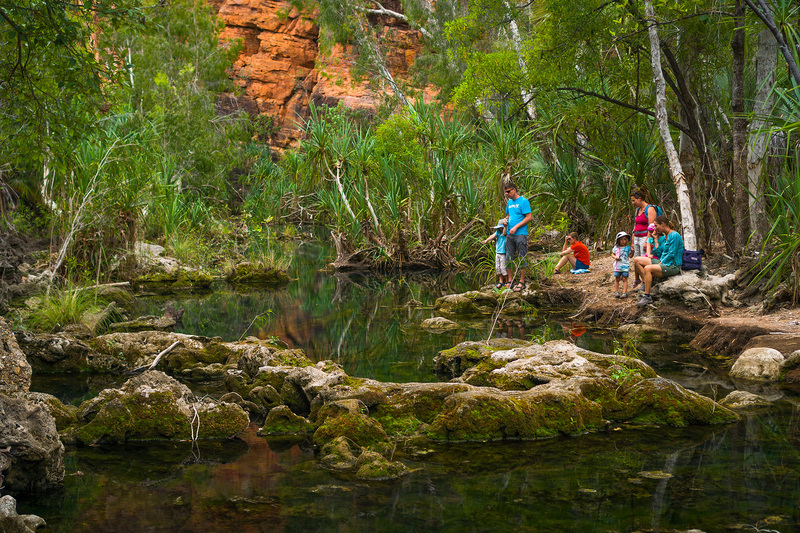 Kids are expert fossickers: tackle even the shortest beach stroll or outback bushwalk with kids and you’ll invariably return with heavy pockets and fistfuls of treasures. A top trick is to compile ‘scavenger lists’ and hand them out to keep the kids busy while you organise camp, pack up the caravan or take a precious moment of peace and quiet for yourself. Alternatively, guide your kids along a rainforested trail, explore the dunes together or simply fossick around your campsite for things to identify or collect: colourful leaves, rocks and seedpods, feathers and flowers, snake skins and strips of bark. 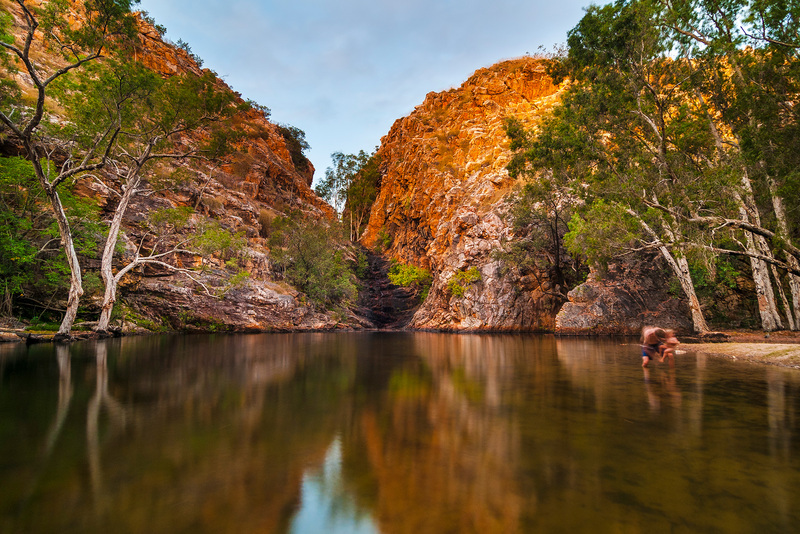 Not only does bushwalking burn lots of restless-child energy, but you can keep kids amused by choosing nature trails with interpretive signage en route, or make your own trail by pointing out natural features, birdlife or historical relics as you go. As long as you are not camped in a national park, collecting ‘treasures’ is a great way to entertain kids in the hours before dinner, and young kids – even toddlers – will enjoy the hunt. Crafty kids will want to turn collected items into creations afterwards, so pack some paper, felt pens or pencils, scissors and glue. If you are camping by the beach, take the kids on a walk at low tide to explore tidal rock pools and discover all the creatures left behind by the sea. Seeing, touching and smelling the sea life is an incredible sensory experience. Looking for a great way to start or end the day with small kids? Pack a couple of new books, snacks, drinks and a blanket, and find a cosy, rainforested nook or breezy spot on the beach to relax and read together. You could time this for your toddlers’ day sleep, or at the end of the day to help older kids wind down. Arm your kids with an inexpensive digital video camera (or a mobile phone) to record their take on the family adventure. You will be amazed at the moments they manage to capture forever. All kids are different, so while you may want to limit your load, be sure to pack a little of whatever it is that keeps your children happy: reading books, colouring-in gear, DVDs or music, sports equipment or outdoor games. Also make sure you don’t forget any must-have comfort items, especially those related to sleep.